The total impervious area for the plant, on the eastern edge of Bogart, will be 1,391,500 square feet, covering about 13 percent of the roughly 250-acre site, according to the documents. The plant will be located north of SR 316, west of U.S. 78, and south of the Atlanta Highway. Additional acreage will be set aside for storm water collection ponds and for preservation of wetlands. Some of the storage area around the plant will be covered with gravel, rather than paved. The total building size is larger than the 815,851 square foot figure in overall site layout plans submitted earlier to the Oconee County Code Enforcement Office, but the 815,851 figure did not include the distribution center, which is included in the 900,723 square foot figure. The 900,723 square foot building size is 297,933 square feet smaller than was proposed in preliminary plans submitted to the Northeast Georgia Regional Commission in late February. Oconee County Economic Development Director Rusty Haygood has said he does not believe the reduction represents any scaling back by Caterpillar. Russ Henson, building inspector in Oconee County, had said the site layout plans in his office were preliminary. 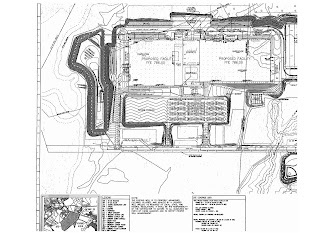 Gray Construction of Lexington, Ky., and Williams and Associates, with offices on Daniells Bridge Road in Oconee County, submitted the site development plans on behalf of Caterpillar. Krista Gridley, Oconee County planner, told me this afternoon that the submitted plans tentatively are set to be reviewed by the Development Review Committee May 23. That committee consists of Gridley and representatives of the Public Works Department, the Code Enforcement office, Environmental Health Services, the Utility Department, and the Emergency Management Agency/Fire Department. Meetings are usually held in the Planning Department offices in the Courthouse Annex across from the courthouse itself. 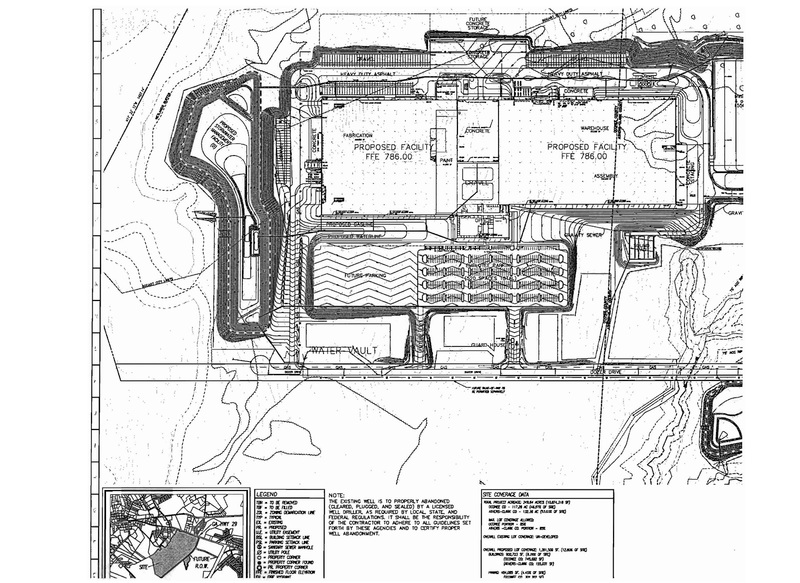 The site development plans show three interconnected buildings that make up the manufacturing complex and offices and a separate product distribution center. The plans indicate that 302,000 square feet of space will be for fabrication, 212,500 square feet will be for warehousing, that same space will be for assembly, and 40,600 square feet will be for offices. The preliminary plans indicated the building will be 30 feet tall. Site preparation for the plant currently is underway.